Jeffrey Ryan Holsinger looks over his shoulder in Madison Township County Court in Greenfield during a July 13 hearing. Jeffrey Ryan Holsinger, the man who allegedly shot and killed two people and severely injured another in a lethal Fourth of July crime spree, has been indicted for murder, kidnapping and aggravated robbery. A Highland County Grand Jury handed down the indictments Tuesday, bringing one count of murder, an unclassified felony; one count of aggravated robbery, a first-degree felony; kidnapping, a first-degree felony; and having weapons under disability, a third-degree felony. The grand jury here could only indict Holsinger for his alleged actions in Highland County. Additional charges are pending in Ross County. Each of the first three felony counts specified Holsinger allegedly displayed, brandished, indicated possession of or used a firearm during the commission of the crime. The indictment comes less than a month after the shooting deaths of Steven Mottie Jr. in Greenfield and Paul Robertson in Ross County on the Fourth of July. Another victim, Jessie Lytle, was left in critical condition after being shot several times on Rapid Forge Road in Ross County. He was transported to Adena Greenfield Medical Center, then evacuated by helicopter to Columbus with critical injuries. The shootings occurred just one day after the funeral of Holsinger’s father, who died in a freak accident June 28 after being struck by a wheel that flew off a homemade trailer near Greenfield. According to the indictment, Holsinger used a .38 Smith & Wesson revolver. 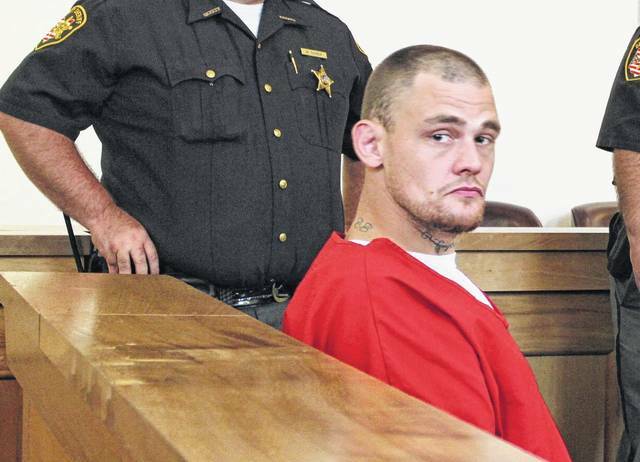 https://www.recordherald.com/wp-content/uploads/sites/27/2017/08/web1_holsingercourt3.jpgJeffrey Ryan Holsinger looks over his shoulder in Madison Township County Court in Greenfield during a July 13 hearing.